She's Found Strength: Lord, How Can I Commit To You? 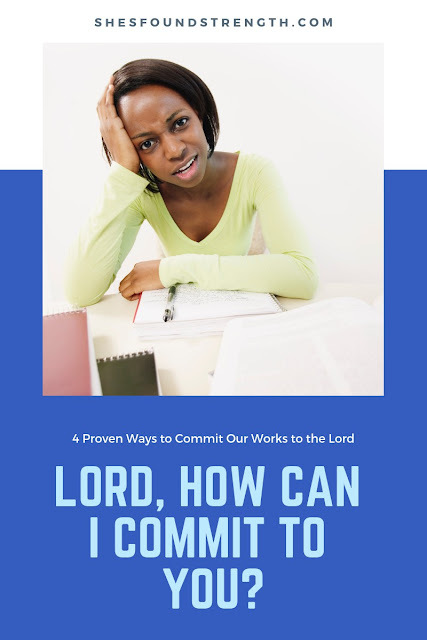 Lord, How Can I Commit To You? You never are aware of how inspiration can spark. Just this morning a little past six I was reading my bible from the You Version App. I was in bed underneath my comforter just filling myself up with God’s word. I came across this one Bible verse that sat on my heart. 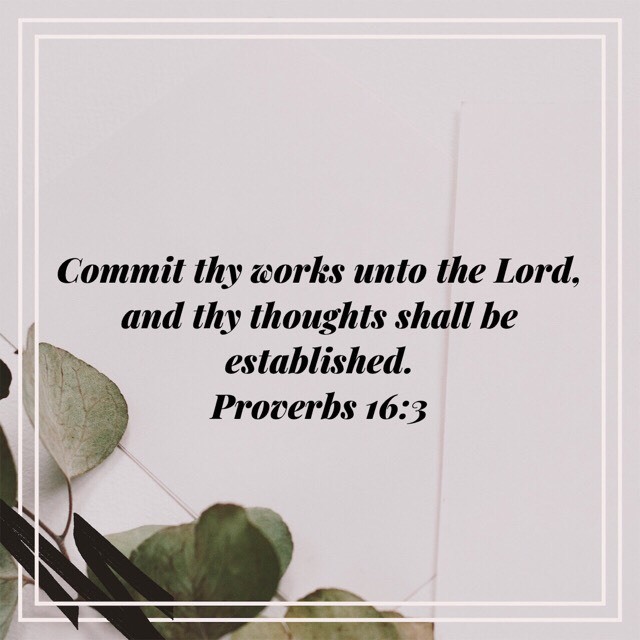 Proverbs 16:3 Commit thy works unto the LORD, and thy thoughts shall be established. This verse was what I needed. I believe many of us face can be conflicted with our decisions in life. We can become overwhelmed. We can face painful thoughts about losing ourselves while in our storms. Sometimes we belittle ourselves because of how we choose to face our trials and tribulations in this life. God is a way maker if you commit your works to Him. He will strengthen, guide, and comfort you. We can commit our works unto the Lord by abiding in His word. We cannot be arrogant within our thinking. We must not lean into our own understanding. We must in all our ways acknowledge Him, He will direct our paths. We can commit our works unto the LORD by trusting Him for the results. It is distressing and vain when we are even convinced that the end results depend on you. The results depend on Him. He suggests that we rest! (Ps 127:1-2)! Such trust in Him will fix and re-establish all that had us rattled. Is there something bothering you today? What has been disrupting your peace of mind? 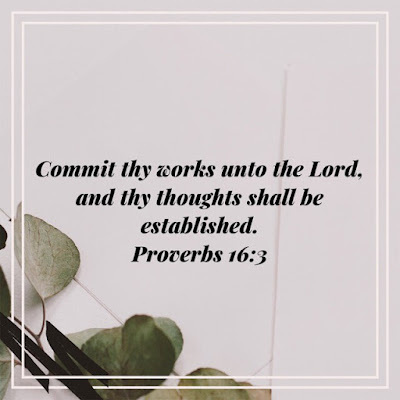 My prayer for you today is that you find it in your heart to commit your works unto the LORD. He will establish your thoughts. Do them His way; do them unto Him; trust Him for the results; then turn it over to Him in prayer. He will take care of you. For the Lord loves you and will bless you with peace, clarity, and assurance. If this blog post was helpful to you, please let me know your thoughts in the comment box below. Share this message with a friend.